Metro Manila, as the Philippines’ national capital region, has been at the nucleus of everything Filipino since time immemorial. It has been the main stage of the country’s political and socio-economic landscape, thus, it is also at the core of Filipino arts and culture. It is in Metro Manila, specifically the city of Manila, where you can find the country’s most significant venues for artistic and cultural exhibitions. The National Museum, formerly the Old Legislative Building designed by Juan Arellano during the American period, houses the country’s premier collection in fine arts, archaeology, ethnography and natural history. The main theatre of the Cultural Center of the Philippines (CCP), based on the blueprint of Leandro Locsin, opened its doors to the world during the Marcos era, showcasing numerous Filipino stage productions and exhibitions since then. Recently, the growing clamor for the rehabilitation of the Manila Metropolitan Theater (MET), another Arellano masterpiece in the 1930s, resulted in its successful acquisition by the National Commission on Culture and the Arts (NCCA) this year, which will be eventually transformed into “people’s theatre” at an estimated cost of P270 million. The continuous activities in these venues along with the impending plans to restore MET strongly manifest an ongoing artistic and cultural movement in Metro Manila. While the national government plays the role of being the principal driver of the artistic and cultural movement in Metro Manila and the entire country, we cannot disregard the important role of the private sector in this movement. Arts and culture are crucial elements in nation building and nation building is a responsibility of everyone, a matter in which the government and the private sector should work hand in hand. At the forefront of this crusade, property giant Megaworld, under the leadership of CEO and chairman Dr. Andrew L. Tan, has created LIVE-WORK-PLAY-LEARN integrated urban townships which are now among the premier catalysts of Metro Manila’s artistic and cultural activities. Going beyond its title as the first cyberpark in the Philippines, the award-winning Eastwood City spearheaded the successful Art Market this year. In two separate occasions sometime in May and June, Eastwood City’s Open Park was transformed into a Bohemian-like setting where artworks from local artists were showcased for art collectors and aficionados to see and acquire. Mall and township visitors got a chance to experience creating artworks by using different arts and crafts materials as well as attend a free portrait sketching and acrylic painting demo, promoting further Filipino creativity among audience, especially young ones. The demo was facilitated by Fernando Sena, the Father of Art workshops. Summertime at McKinley Hill, Megaworld’s largest integrated urban township in Fort Bonifacio, was never a bore as it hosted a series of art sessions. Separate classes for basic brush calligraphy by Mimai Cabugnason, basic doodling by Nelz Yumul, basic paper cutting by Hey Kessy, DIY tote bag designing by Nica Cosio and acrylic and oil workshop by The Artologist were held at different restaurants in Tuscany. The combination of good food and cozy atmosphere made McKinley Hill an encouraging sanctuary for artistic minds from different walks of life. Newport City welcomed the Philippines Independence month of June by hosting Freedom of Expression, a visual art exhibit which celebrated contemporary Filipino arts. Held in partnership with Kulay-Diwa Gallery of Contemporary Art, the exhibit showcased brilliant works, notably by Andres Barrioquinto, a surrealist painter whose works are found in the Singapore Art Museum and were successfully auctioned at Sotheby’s in Hong Kong; Ernest Concepcion, a 2015 CCP awardee; and Raimundo Folch, a Filipino-Spanish sculptor who won the prestigious 2011 Baumel-Schwenck Grand Prize at the Salon de Carousel in Paris. Other artists who participated in the exhibit include Joseph Tecson, Jason Tecson, Raymond Kawataki Go, Henri Cainglet, Francisco Viri, MM Yu, Pow Martinez, Jay Iwayan, Marrz Capanang, Kris Abrigo, John Paul Dalisay, Michelle Tan, Franz Marion Vocalan, Aaron Bautista, Bembol dela Cruz, Michael Vincent Manalo, Gao Regaza, Miguel Beltran, Martina Manalo, Gromyko Semper, Marcel Antonio, Jerson Samson, Eugenio Cubillo II, Camille dela Rosa, Jojo Lofranco, Jose Ibay, Raul Jarolan, Christopher Zamora, Israel Remo, Adrian Jay Manuel, Ritchie Yee, Demi Padua, Monnar Baldemor, Karen de Pano, Picadizo Valen Valero, Van Tuico, Adam Nacianceno, Ferdinand Doctolero, Alexander Moscoso, Marcial Pontilla, James Imperial, Don Bunag, Wilbert Custodio, Michael Bacol, Carlos Saavedra, Ian Quirante, Jecky Alano, Caloy Gernale, Pedro Garcia, Fernando Modesto, Whoop Julius Villarete and Wipoosana Supanakom. Since its establishment, the Newport Performing Arts Theater has been at the forefront in fostering Filipino performing arts by providing a world-class venue for world-class Filipino artists. The 1,500-seat theater boasts of the widest stage in the Philippines and the biggest LED screen in Asia that provides dynamic video backdrops. It is also equipped with two Euro-LED screens with 3D effects, a complex fly system, a revolving stage and a state-of-the-art lighting and audio facilities. Now a regular venue for patrons of the Philippine theater arts, the Newport Performing Arts Theater has hosted Resorts World Manila’s magnificent productions such as KAOS, The Sound of Music, The King and I, Cinderella, Noli Me Tangere: The Opera, Priscilla: Queen of the Desert and now, the musical rendition of the Filipino classic Bituing Walang Ningning. Considerably a milestone musical staged at the Newport Performing Arts Theater, Bituing Walang Ningning The Musical is very Filipino at many levels. Based on an original Filipino comics penned by Nerissa Cabral, Bituin Walang Ningning was eventually adapted into a movie and a soap opera featuring songs composed by Willy Cruz. Performances run until July 18. The Newport Performing Arts Theater was designed by prominent Hong Kong-based interior design expert Joseph Sy, which won him the coveted 2011 Perspective Awards-Certificate of Excellence and the 2011 Asia Pacific Interior Design Silver Award. The theater also earned the distinction of being BroadwayWorld Philippines’ Best Theatrical Venue for 2011 and was one of the top six contenders in the Leisure and Entertainment class of the Asia Pacific Interior Design Awards. 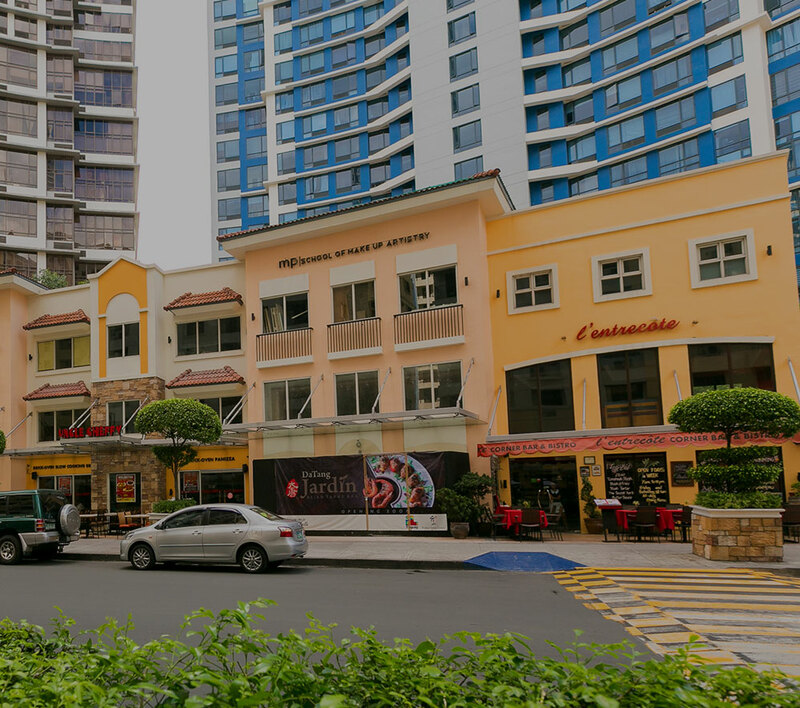 With more than 25 years of successful existence in the Philippine real estate industry, Megaworld is committed to refine, redefine and replicate its pioneering LIVE-WORK-PLAY-LEARN township lifestyle concept, including the promotion of Filipino arts and culture, that started at Eastwood City in its other integrated urban townships. Apart from McKinley Hill and Newport City, Megaworld has 15 other townships all over the Philippines, which include McKinley West, Uptown Bonifacio, Forbes Town Center, The Mactan Newtown, Iloilo Business Park, Woodside City, Davao Park District, Suntrust Ecotown, Alabang West, Southwoods City, Boracay Newcoast, Twin Lakes, Northill Gateway, The Upper East and Sta. Barbara Heights. Designed to highlight venues that are conducive to learning and creating artistic outputs, Megaworld townships are set to champion Filipino arts and culture, not only in Metro Manila, but also in the entire Philippines.